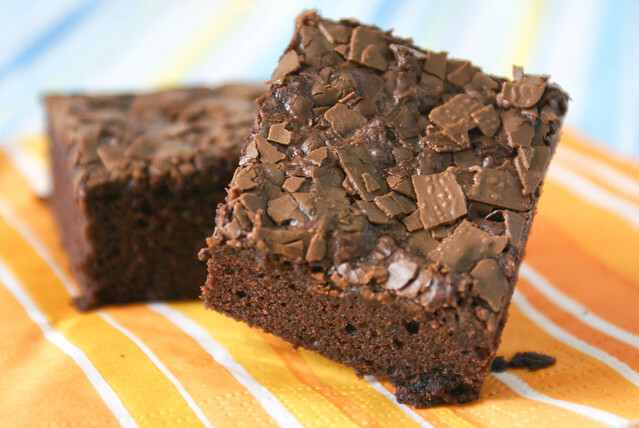 Brownies.. yumm .. chewy and fudgy!! Brownies.. warm with ice cream.. delishhh!! 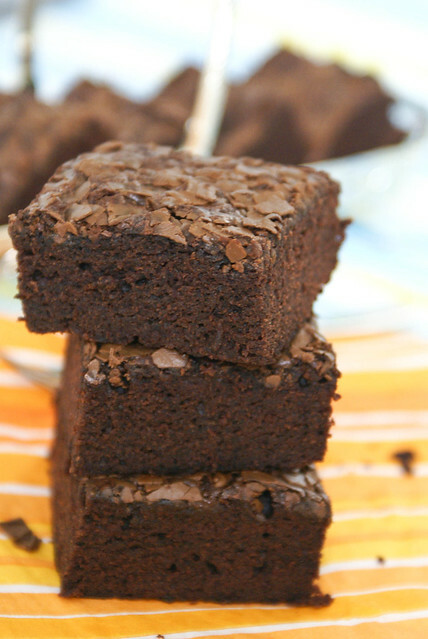 Brownies.. a delight for dessert lovers!! So this is for all those who love chocolate and brownies. Preheat the oven to 325 degrees F (180 degrees C). Butter an 8-inch square pan. Center a rack in the oven. Over a saucepan of simmering water, place a heatproof bowl. Put butter in the bowl and add the chopped chocolate and stir occasionally until the ingredients are just melted. Dont keep it till it gets hot and bubbles, you want it just melted. Remove the bowl from the pan of water. With a whisk, stir in the sugar. The mixture turns grainy, do not worry. One by one, whisk in the eggs, beating well after each addition. Add the vanilla and give the ingredients a vigorous whisking. Stir in salt and flour, stir only till incorporated. Scrape the batter into the pan and smooth the top with the spatula. Bake the brownies for 30 to 33 minutes, or until a toothpick inserted into the center come out with a few crumbs clinging to it. Transfer the pan to a rack and cool the brownies to room temperature. When the brownies are completely cool, turn out onto a rack, invert onto a cutting board. Cut into squares. You can add in a tea spoon of instant espresso, while adding vanilla, to give an extra kick. For an extra crunch, fold in chopped walnuts (or any nuts of your choice) at the end. 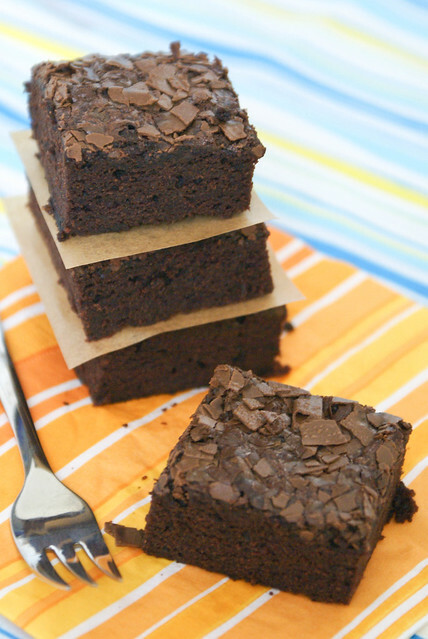 For more chocolaty Brownies, fold in chocolate chips into the batter at the end. Sending these to Srivalli’s Chocolate Mela at Cooking for all Seasons, and to Bake Fest hosted by Anusha at Tomato Blues. That looks sooo inviting Spandana… WOuld love for you to link it up to my event. Wow Spandana..those brownies are looking heavenly ..thanks for the entries..
spandana, thanks for your words at my blog, which helped me to discover ur blog. love your pictures, brownies looks so perfect-cracks on top of it says that! amazing brownies!………………absolutely delicious,obviously your hubby loved them!anyone would! Extremely good looking brownies. YUM!!! Extremely tempting. Reflects your perfection. Congrats!